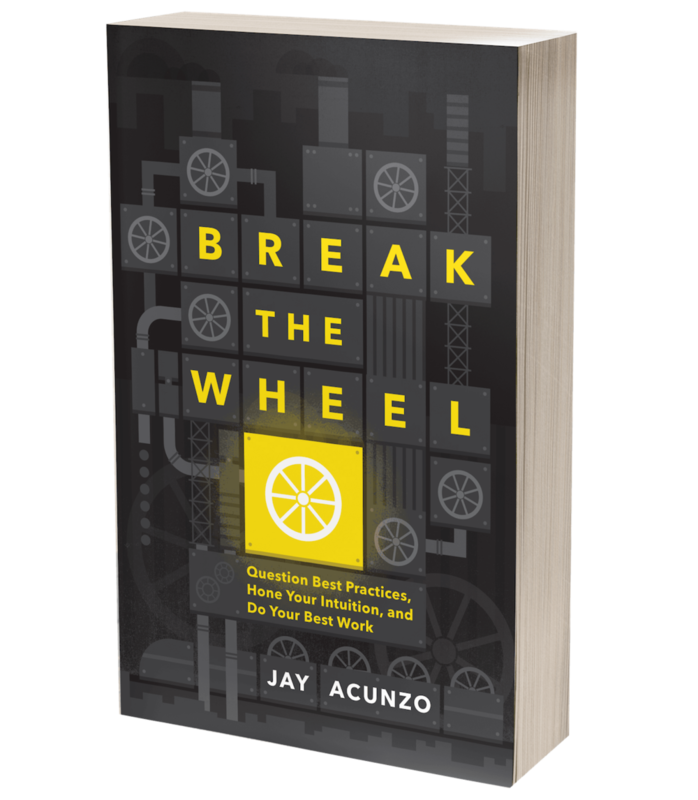 How a Simple Experiment at a Picnic Revealed a Universal Workplace Problem | Unthinkable Podcast — Jay Acunzo | Author. Speaker. Maker of Shows About Work. Why do we gorge ourselves on holidays? Why do we do ANYTHING that seems mindless? "Because that's how we do things around here." In this story, the psychological phenomenon that explains this type of decision-making ... and what we need to do to break from it. Unthinkable is the podcast about questioning conventional thinking to think for yourself at work. The show features stories of people who make decisions that seem crazy, until you hear their side of things. It’s a highly produced, narrative-style show unlike anything you’ve heard from other business or career podcasts. Listen on Apple Podcasts, Overcast, or wherever you get your shows. Better yet, get each new episode via email (plus a new original story only found through the newsletter) by subscribing below. Damn the Best Practices: The only newsletter that doesn't claim to be "the only newsletter that..."
No hacks, secrets, or absolutes found here. Only ONE new story or ideas every week, written for think-for-yourselfers. Almost done! Check email to confirm (& get my most popular writing right after). Posted on November 19, 2018 by Jay Acunzo.